It was adorable! Looked and fit exactly as it showed in the image. Good communication and high quality product. Thank you. 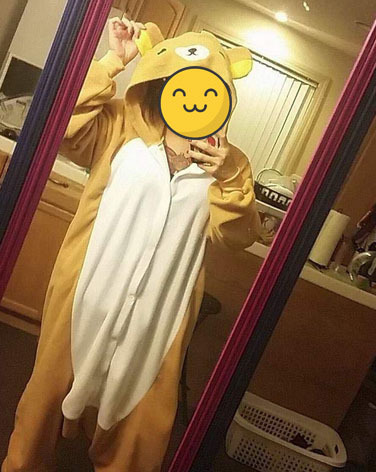 Rilakkuma! Last year I bought another color of Rilakkuma for my niece. She liked it very much. I found this color style this year! awesome! I want to see if my niece will like Rilakkuma in another color!